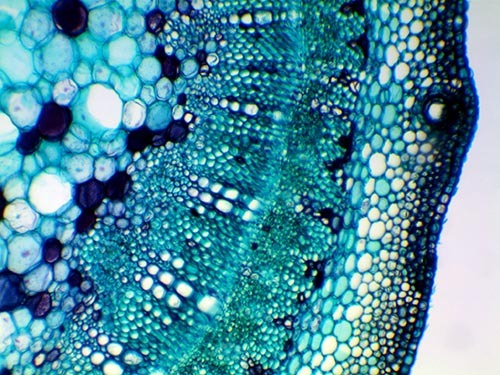 Zea stem lateral section (l.s.) 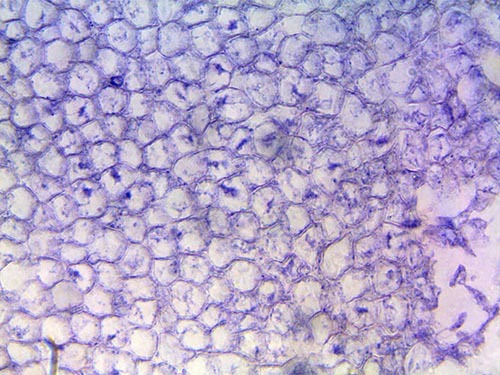 is the 50th slide in the Amscope 50PC prepared slides. 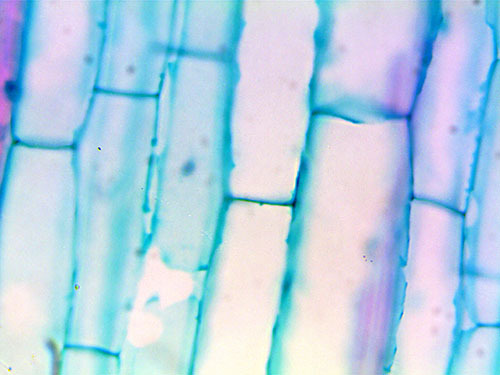 Zea is a genus of true grasses in the family Poaceae of which corn is a member. 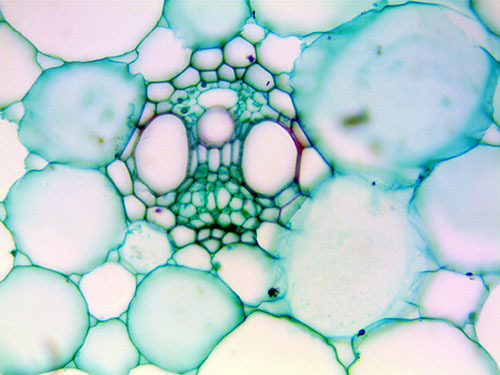 Cross-section of Coprinus mushroom set is the fourth slide in the Amscope 50PC prepared slides. 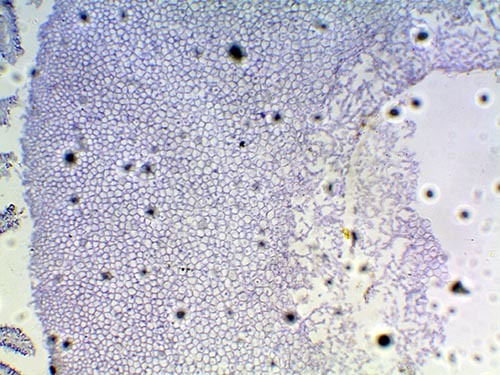 The Coprinus is a small genus of mushrooms consisting of Coprinus comatus (the shaggy mane) and several of its close relatives . 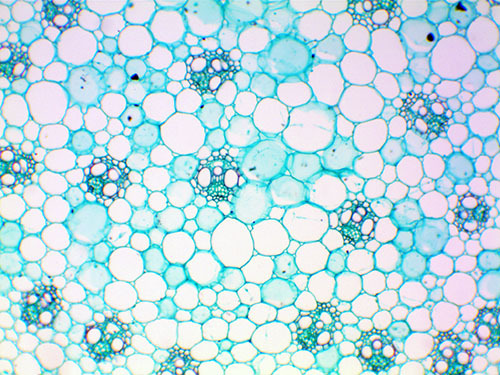 The circular ring in the center is the stem of the mushroom. 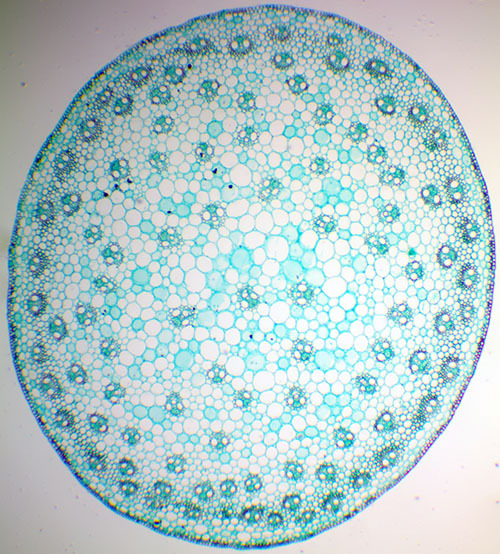 The center white circle suggests that the stem is hollow from inside. 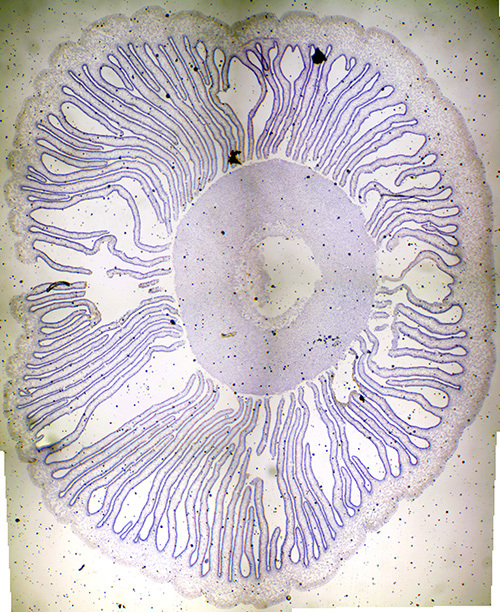 The lines from the stem to the edge forms the cap of the mushroom. 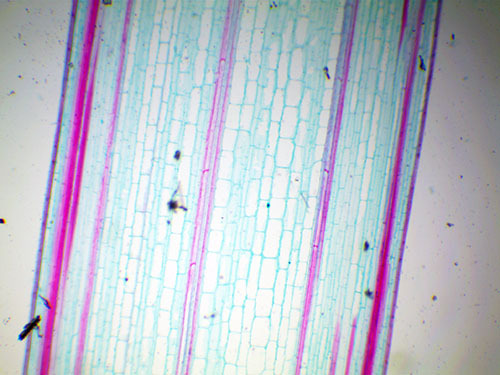 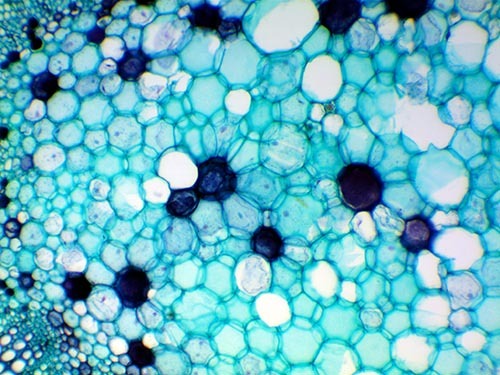 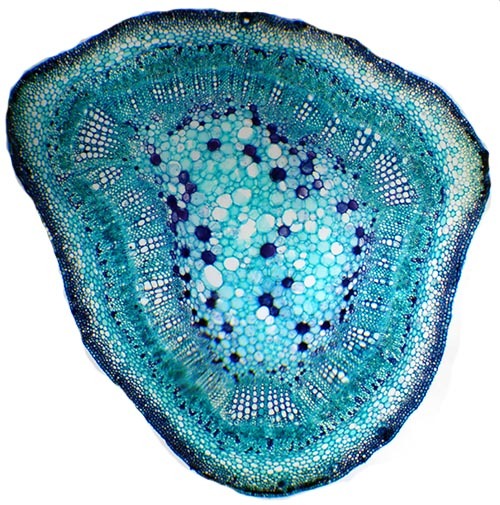 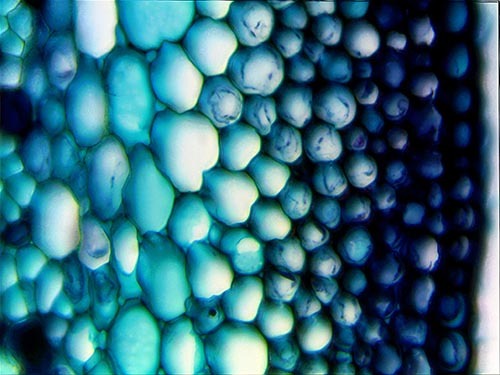 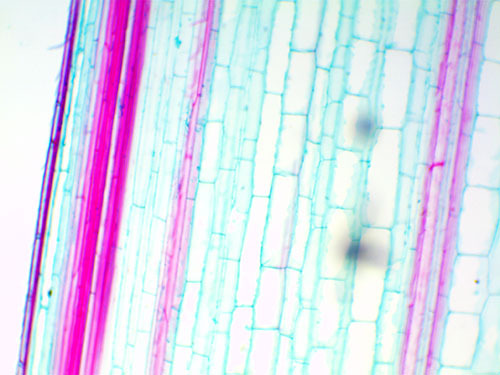 Cross-section of cotton stem is the fifth slide in the Amscope 50PC prepared slides.